Welcome to our all new showcase page. 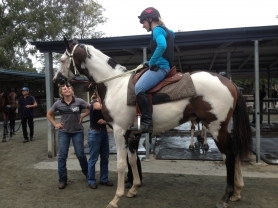 into one of our, or our clients, lovely WCF horses. 2013 filly 'Maybelline' with two colour genes - Dominant White & Frame Overo. So 'maxed out' she is pure white, though she is technically bay underneath. She has super conformation and is growing out beautifully. Her dam is a like a clydesdale in temperament as well as colour! and Maybeline is showing to be unbeleivably sensible also. She is spectacular to look at with one blue eye and one brown eye. she will breed colour to any stallion and a great asset. Glacial Gold x Yellow Rock Road - FASTNET ROCK. Champion Thoroughbred and Supreme Champion NSW All Breeds Foal Show. 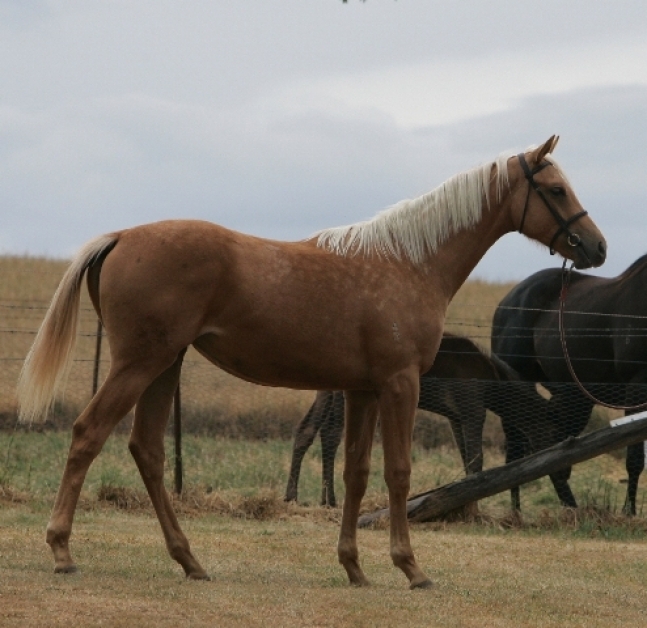 Note his winter weanling coat is very light he is deep gold in summe and will darken as a yearling / 2yo. 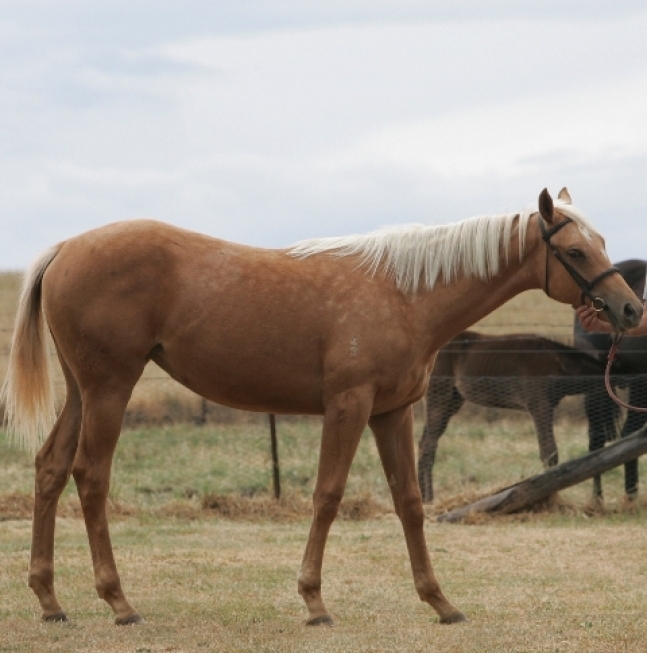 Below is the Profile colt "Paint Us A Picture" out of Coldstream Candy. He is full Stock HOrse registered as well as being a pure Australian STud Book Thoroughbred. Below is STYLED IN BLACK. A Profile In Style colt. Profile is consistently throwing cracking types. This ASB TB filly is unbelievable. 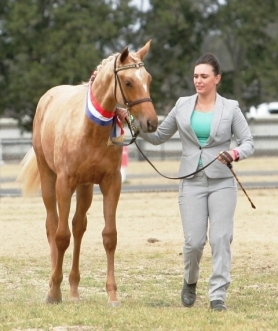 "Gold Gisele" so appropriately named as she is out of a 17.1hh TB mare by the World Champion Pentire Celebre. He was the fastest Prix de l'Arc de Triomphe winner ever. This race is the Northern Hemisphere\'s equivalent to the Melbourne Cup. Pictured in hand above as a FOAL. 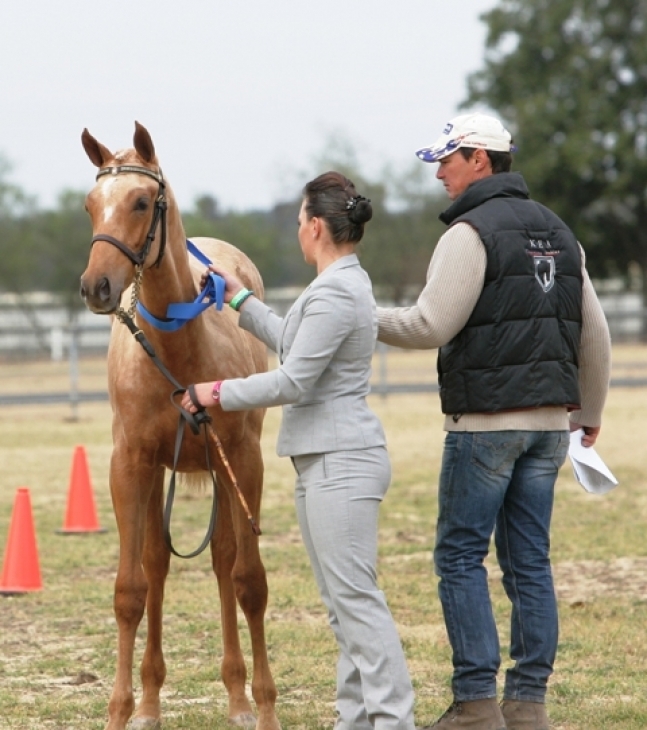 She won best Thoroughbred Foal at the NSW All Breeds Foal Show and then went on to win Champion Thoroughbred Foal. 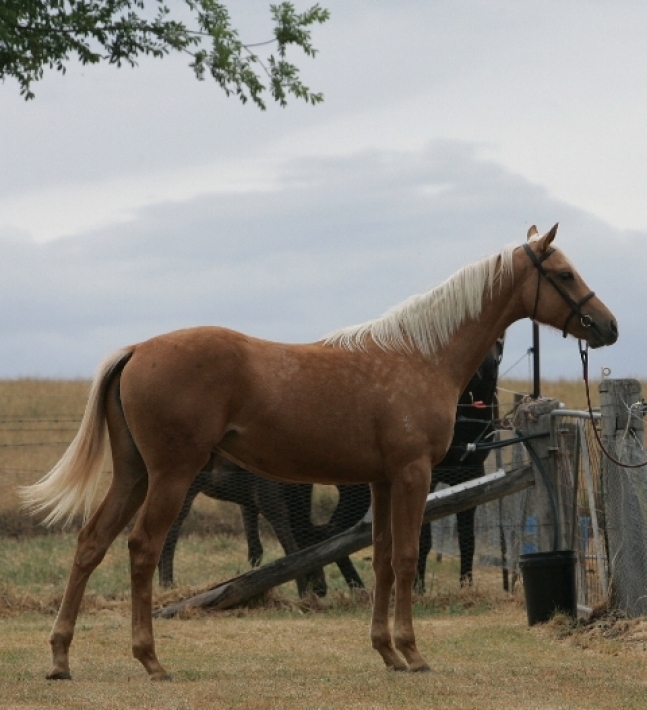 She enjoyed her weanling preparation and we look forward to breaking her in and seeing what she has above those LONG legs of hers. 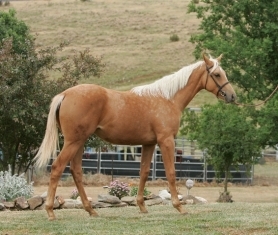 Last four pics as a just turned yearling. She is exquisite and will be a stellar mare of the future.